Your air conditioner is one of the most important components you have in your car, as it can keep you comfortable during warmer weather. In the unfortunate event it breaks down, you might be tempted to buy a portable air conditioner instead of going to a shop to have the factory unit fixed. Portable units have grown in popularity due to their ease of use. To operate one, fill it with water and plug it into your cigarette adapter. From there, the unit blows cold air into your car, much like your factory unit did. These models offer other benefits. For one, a portable air conditioner is quiet, so it doesn’t distract you from driving. Two, they are versatile, as you can install them in different spots. The versatility and ease of use makes these a big draw for consumers. With that said, are they worth the cost? 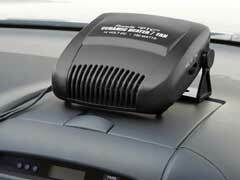 Depending on whether you buy a small RV air conditioner or a car air conditioner compressor, they will vary in price. While you may find some on eBay for cheap, generally a good one can run you several hundred dollars. Along with this, the units can be bulky, which may make placement an issue. If you are driving a coupe or a smaller sedan, the interior does not have as much dash space so finding an optimum position to install this could be more difficult. Another aspect to factor in is the cost of servicing your existing air conditioner unit. Many repair shops offer deals on air conditioning servicing, especially during the warmer months, therefore, check with them first. It may actually be less expensive to fix your current model than buying a portable air conditioner. In conclusion, while a portable air conditioner offers ease of use and the ability to take it with you, the cost may not justify the convenience. It’s likely better to repair your existing system first because it may end up being less expensive. However, if this isn’t an option for you, then the portable units would be an excellent way to keep you comfortable during the steamy summer months.